What’s the public health impact of alcohol and what is the effectiveness of policies for reducing alcohol-related harm? PHE’s new evidence review seeks to answer those questions and you’ll find the full document on GOV.UK and an abridged version published in the Lancet. Our National Director for Health and Wellbeing, Kevin Fenton, and Rosanna O’Connor (Director for alcohol, drugs & tobacco) answer questions about why and how we carried out this review. What’s the purpose of this work? KF: One of PHE’s roles is to provide evidence to help inform policy at both a national and local level. The Department of Health commissioned us look at the public health impacts of alcohol and possible evidence-based solutions. A group of experts conducted the review and we’re now ready to publish. How did you go about gathering evidence? RO: The project was conducted by a team within PHE, led by two senior academics and supported by an external expert advisory group consisting of leading UK and Republic of Ireland academics and clinicians, as well as representatives from across Government. The brief was to critically appraise existing research to understand the type of harm that alcohol causes and to review the effectiveness and cost-effectiveness of alcohol policies. We looked at over 270 reviews and primary studies relevant to the English context. This is the most comprehensive review of alcohol evidence that’s ever been undertaken in England. KF: For an evidence review of this nature the peer-review process is important and our work was subject to an extensive three-stage peer-review involving UK and international academics. This ensures accuracy and academic rigour. The abridged version of the review was also subject to further peer-review processes of the Lancet. What can policy makers expect from the report? RO: Alongside evidence on alcohol’s effect on public health we’ve looked at the effectiveness and cost-effectiveness of policies and interventions to reduce alcohol-related harm. So you’ll find information on the trends and patterns of alcohol consumption and the wide ranging public health burden, taxation and price regulation, regulating marketing, regulating availability, providing information and education, managing the drinking environment, reducing drink-driving and brief interventions and treatment. Armed with the latest evidence, policy makers can consider initiatives which will best prevent or reduce alcohol harm. 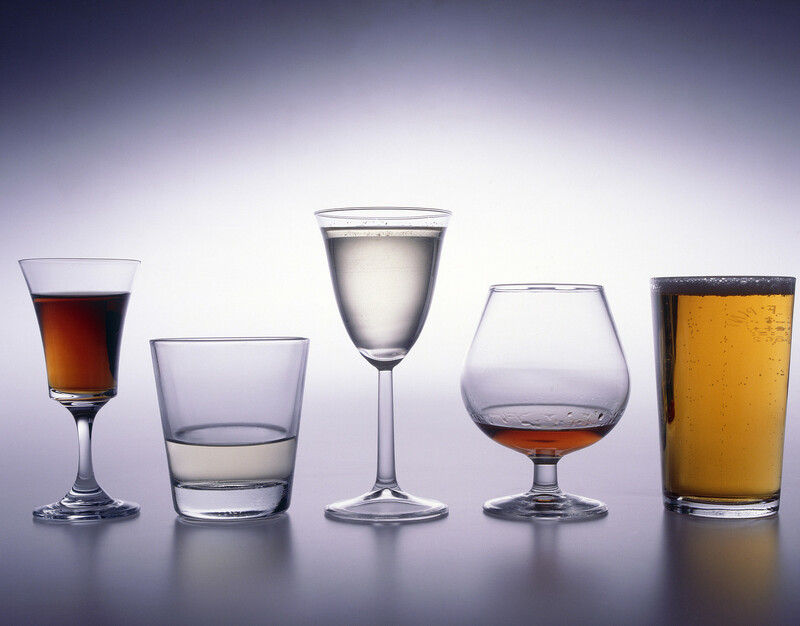 Can you summarise what you mean by “alcohol harm” – what is the impact and who is affected? KF: Alcohol is widely used in England and for many people it’s associated with the positive aspects of life, but at the same time there are currently over 10 million people drinking at levels which may put their health at risk. When we talk about “alcohol harm” we are talking about the negative health, social and financial consequences it can have on some drinkers, communities and wider society. Many of these harms affect people other than the drinker, such as children, relatives of heavy drinkers, co-workers or even strangers. Alcohol harms can be obvious - such as the costs to the health, criminal justice and welfare systems. These include things like hospital admissions and premature death, violent crimes or children being abused or neglected. They can also be less obvious such as the costs resulting from people calling in sick from work, working with a hangover, people losing their job or being unable to get a job because of their heavy drinking. All these harms have a huge impact on our communities, wider society and Government. Overall, the economic burden of alcohol is substantial, with estimates placing the annual cost to be between 1.3% and 2.7% of GDP. If these figures were applied to the UK, that would equate to between £25bn and £50bn each year. Despite these harms and the costs they place on individuals, communities and wider society, there have been some positive trends over recent years. For example, there has been a reduction in alcohol consumption and hospital admissions for people under 18 and gradual reductions in alcohol-related road traffic crashes. Nonetheless, many of the harms caused by alcohol have increased, and there are now over 1 million alcohol-related hospital admissions annually, half of which are in the most deprived people in society. You mentioned that the review looked at policies that could reduce those harms? RO: Yes – an extensive array of policies exist which can reduce the public health burden of alcohol. For instance, the evidence suggests that targeting price increases at the cheapest alcohol is very effective and cost-effective and is able to substantially reduce harm in heavy drinkers without affecting moderate drinkers or the price of alcohol sold in pubs and bars. Additionally, increasing the price of alcohol, even by a small amount, is a highly effective and cost-effective approach to reducing harm. Both these measures can reduce the financial burden that alcohol places on our hospitals, the police, local communities and society as a whole. We also found evidence to support reducing the amount of alcohol advertising that children see on a day-to-day basis, as we know that children who are exposed to greater alcohol advertising are more likely to start to drink before they are 18 and to drink more if they already do. Underage drinking is known to be associated with a number of problems, including school truancy and unhealthy drinking patterns as adults. And reducing the hours during which alcohol can be sold, particularly very late night sales of alcohol in pubs and clubs, is effective in reducing harm in town centres and vibrant night-time economies. When enforced, this is cost-effective. We also found strong evidence to support interventions delivered in the health service, including brief interventions, which offer advice to at-risk drinkers on how to cut down their drinking, and treatment for those with alcohol dependence. These are both cost-effective. Finally, setting a lower legal driving limit, enforcing the limit with breathalysing and applying a penalty if the law is broken, are all effective measures for reducing the harm alcohol causes on the road. Take a look at the review for much more detail on these policies. What are we advising drinkers to do as a result of this review? KF: This review doesn’t set out to inform individual drinkers – there is plenty of information out there that covers the harm alcohol can cause and also useful tools to help people cut down. The work is about thoroughly reviewing the evidence and enabling a discussion among policy makers about the most effective and cost-effective ways we can address the human and economic costs of alcohol. Now all the evidence has been reviewed, what’s next? RO: The evidence speaks for itself. The policy implications are clear from this and open to Government to act on as they think appropriate. We’ll keep working with key partners in both national and local government, with alcohol charities and public health colleagues to reduce the very obvious harms from alcohol. This is a very well written and sensible report with recommendations that make good sense. But what has happened? Have any of Britain's various governments taken action when it comes to a tax on super-cheap alcohol or opening hours?